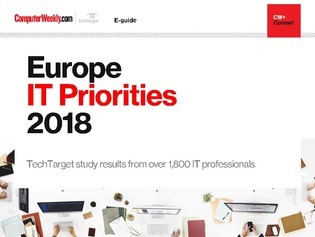 In this e-guide we feature an analysis of the findings of a Computer Weekly/Tech Target pan European survey of IT decision makers. The IT priorities survey, as it is known, revealed that while most of nearly 2000 CIOs across the regions agreed that IT spending would increase this year there was no such consensus on what the money would be spent on. On the budget-front, news is good with 28% of respondents expecting a budget increase of more than 10%. Also read about a few of the many technologies being invested in across Europe. For example we feature articles about artificial intelligence in the Nordics, augmented reality technologies breaking into enterprise space in the Baltics and how the European Commission are planning on making Europe a global Fintech hub.